One of the advantages of living in California is the opportunity to experience many examples of Mexican culture. The most obvious example is Mexican food, but there is also the opportunity to meet Mexican artists. 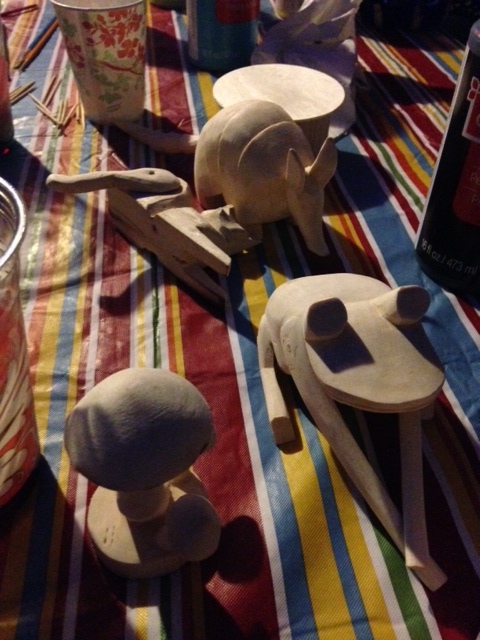 A friend hosted an artist, who showcased her pieces at a local community college. 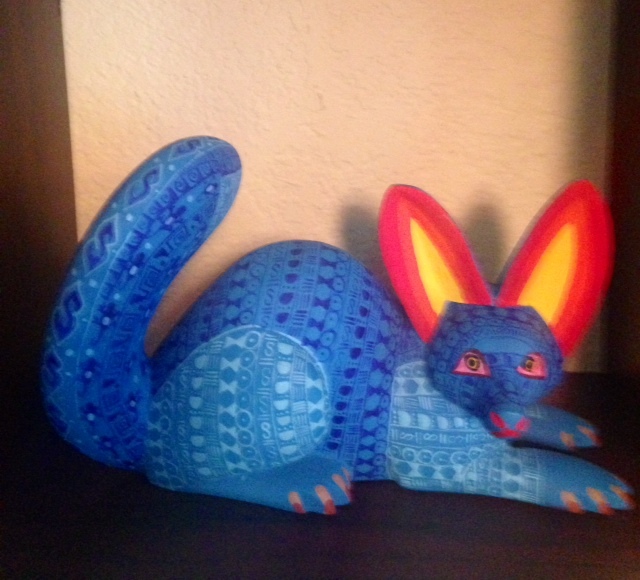 The art form is called Alebrijes, colorful wooden sculptures of mostly animals. 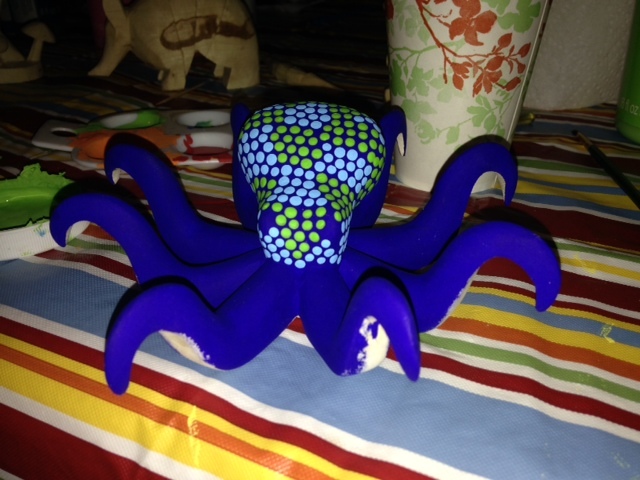 The figurines are hand-carved out of copal wood, and then handpainted with intricate patterns in bright colors. 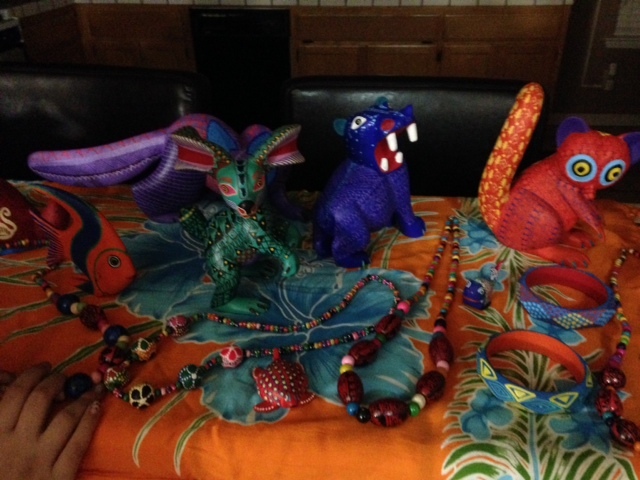 The artist visiting from Oaxaca was Alma Arreoala; she paints the pieces that her husband, Saul Aragon, carves. As part of her presentation on her art, spectators also had the opportunity to paint their own pieces, and I experienced firsthand how difficult those small patterns are. I love the eye to detail, the bright colors, and the fantasy behind the color and pattern choices. And I love the energy portrayed in the carvings – I chose the rabbit because of the attitude it displays with its flowing ears seemingly dancing in the wind. 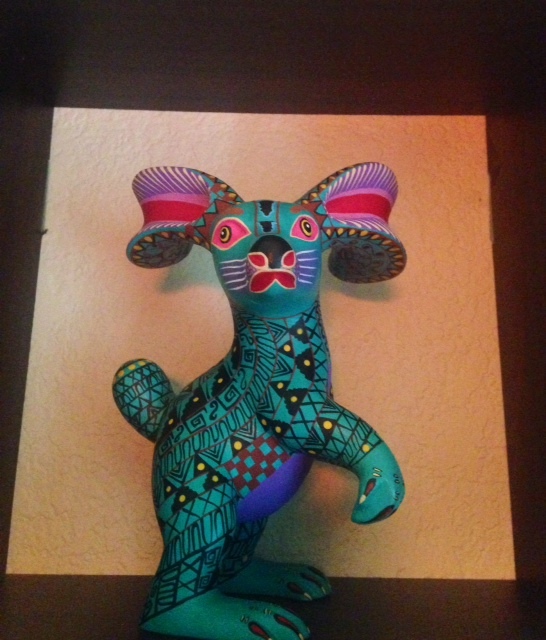 Categories: Art, Mexico, U.S., Uncategorized	Tags: alebrijes, animals, art, Mexico, U.S.